New Tracey Emin-esque art space opens in Grimsby – and it’s getting people’s attention! 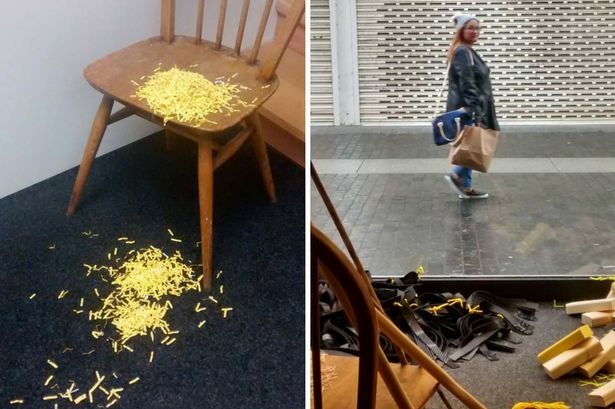 A new art space has opened up in the centre of Grimsby and it’s certainly catching the attention of passers-by. Taking the place of the former women’s store Rachel, …blip is the name of the new temporary artistic addition to Victoria Street. The unusual display features an array of “detritus” which will remind many of memorable Turner Prize exhibits in the past. The space has been created by Ellie Collins and Marc Renshaw in collaboration with London-based artist Tracey Payne. It has been made possible by Vacant Space, which is a programme by Axisweb enabling artists, creatives and projects to access empty commercial properties across the UK. 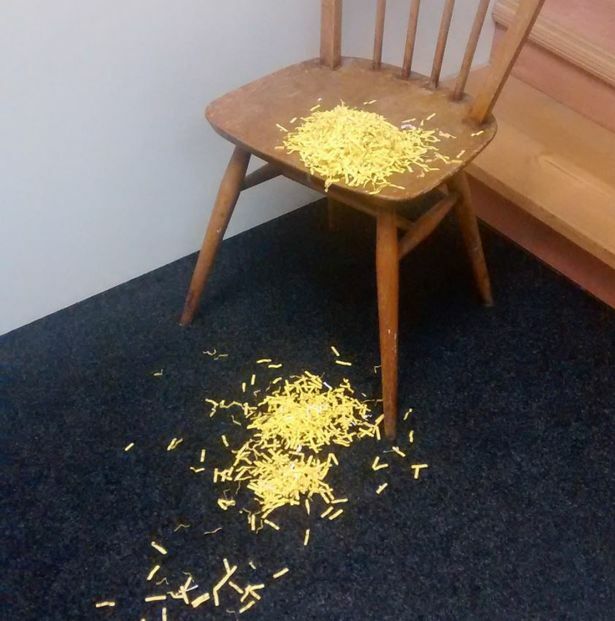 The current exhibition is Sweepings by Elllie Collins who describes it as “filtering everyday scenarios through the autonomous medium of writing has yielded artefacts with a ‘not quite’ quality. 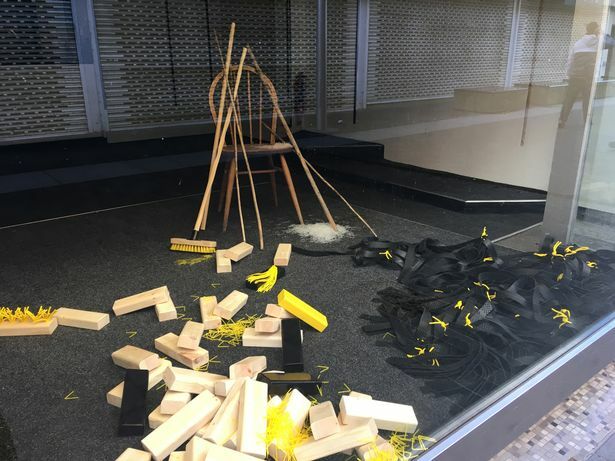 The site faces the now derelict BHS store, and certainly drew in glances from passers by who were keen to view the Tracey Emin-esque installation in the heart of Grimsby. The creation of this new cultural space also comes as the prestigious Turner Prize is being held at the Ferens Art Gallery in Hull this year, with the winner being announced in December. Speaking about …blip, Marc Renshaw told us: “We have invited a number of artists over the coming months to install works viewable from the street. 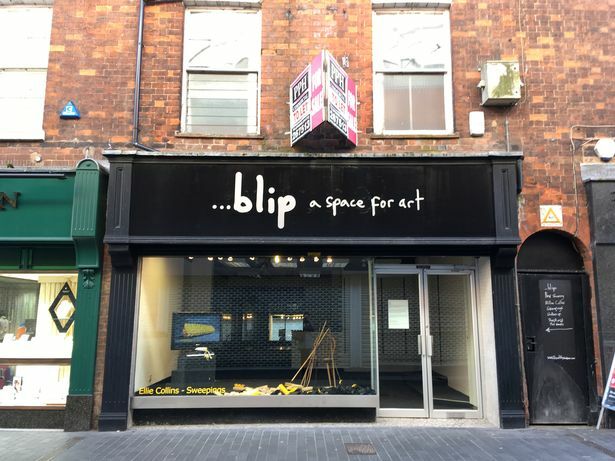 “…blip is not a gallery; its temporary nature would make this impractical and our objectives primarily are to invite open-ended discourse with the arts community locally and further afield whilst intuitively exploring potential strategies to engage audiences unused to encountering contemporary critical art in Grimsby.